Still my favourite eating tool for the past three years. As someone who is moving towards being an ultra lighter I don’t do heavy cooking on the trail so I don’t really need to do full-on food preparation as one would if car camping. I’m used to eating commercially prepared or home made pre-prepared meals on the trail that just need some form of implement to get food from the container to my mouth and this spoon is a great choice. I have large hands and find many other smaller implements such as Sporks or short handled spoons annoying – I’m either eating with an uncomfortable handle or a short handle covered in food. If you are eating meals out of bowls or off plates then this spoon works just like any other but where it really excels is for those of us who eat out of commercially pre-prepared foil food bags. With a shorter spoon you need to cut the bag down which tends to create mess or eat from the full bag and get messy hands. The long handle on this spoon ensures your hands stay clean even when eating out of a full size bag. 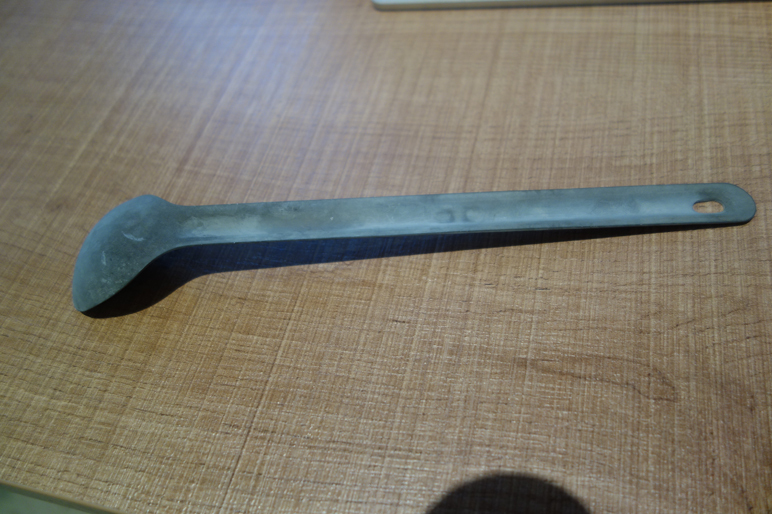 This spoon is made from titanium so it lightweight and very durable. It also has a matt finish which is one of the few negatives – most of us are used to household cutlery with a shiny finish and is easy to clean. However, the matt finish means you really do need to lick the spoon clean or wash thoroughly otherwise you run the risk of food drying on the spoon which has the potential to become a health issue. 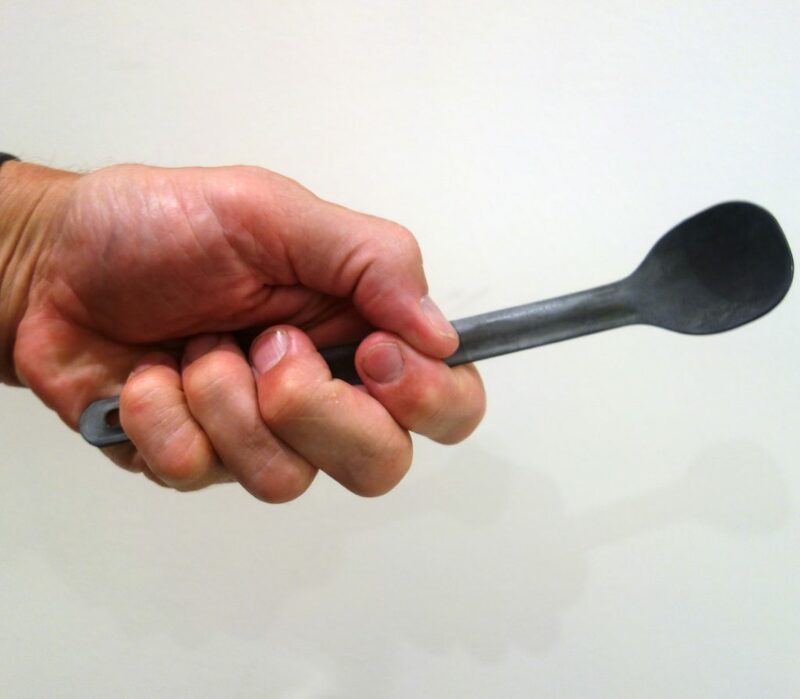 Equally this spoon works well for those with small hand so there is no real disadvantage. Typically when Gill and I hike as a couple we will share this spoon for dinner purely because of the long handle. While not the cheapest implement on the market, it is by no means the dearest so is still very good value for money. While I continue to try other options, I have yet to be convinced to use something else. Can be used to spread things like peanut butter onto to bread. Why carry a knife?